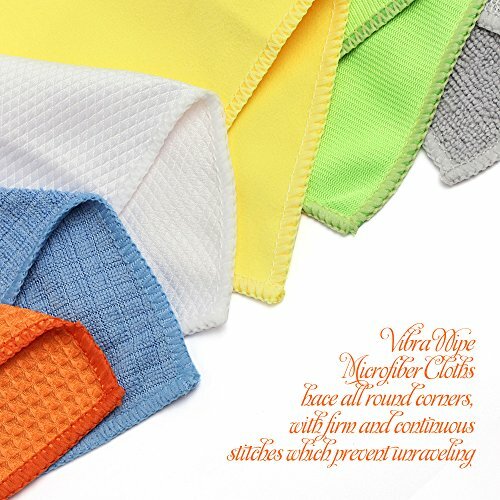 ❤IT IS NOT A COMMON CLEANINGCLOTH- Material: 88% polyester, 12% polyamide, 6 different styles assorted for different cleaning purposes, size of 12x12"or 16x16", 12pcs-pack, 24pcs- pack, 48pcs- pack optional. 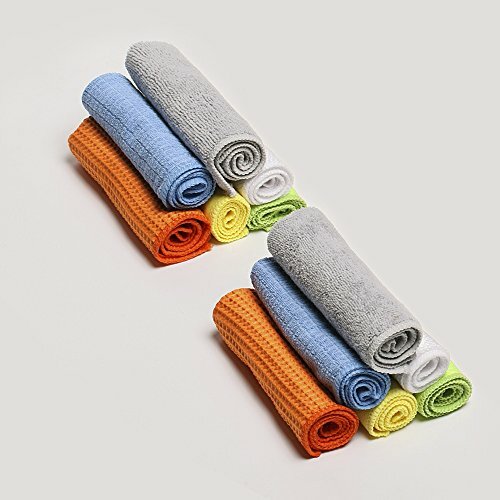 ❤BEST PRICE WITH ENOUGH QUALITY - We offer you this bulk packing set at promotional prices, using our towels ensure the general clean working in your house become easier, quicker and efficient than ever. Buy one set, you will save the rest money on it for more than 1 year at least. 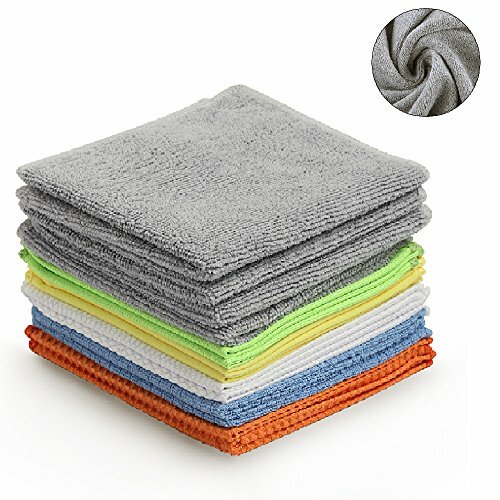 ❤PROFESSIONAL HIGH GRADE QUALITY -This towel set is a super combination of 6 different styles of different microfiber towels, with high water absorbent and super cleaning appearance, or thorough cleaning of strong and heavy dirties, even specially for glasses, windows, mirror shinning polishing, covers almost all the general cleaning works. ❤MAGIC CLEANING EFFECT -It has super amazing performance of thorough clean with no streak left after you use it. It is of good quality, safe and be able to use with long duration. ❤Easy Care - machine washable, suggest to wash by cold water seperately before first use. Do not bleach or tumble or iron, no softer. Quick dry, few minutes after you hang it and with no odor and mildew. 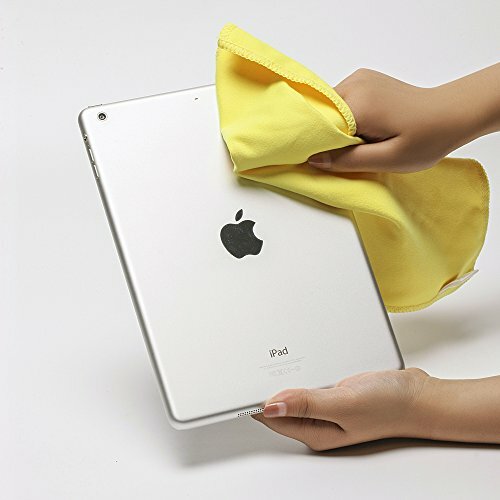 ❤ Our microfiber cloth almost all the daily cleaning works at your home can be solved. Please refer to the following using suggestions. 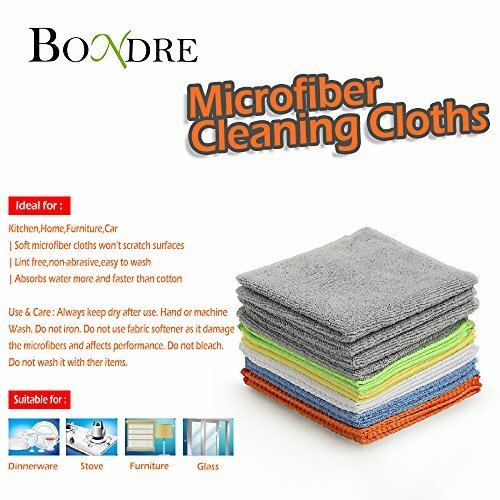 ❤ The gray one with nylon mesh on the back-cleaning your dishes and do the wiping, water drying... the nylon mesh on the other side helps to scrubber a little on the strong dirties and enhance the thorough cleaning effects. ❤The orange one with check is stiff, light, compact and quick dry. ❤The yellow one we suggest you to use it clean your delicate items at your home, such as the screens of electronic appliances, TVs, piano, instruments, mobile phones, pads, computers...even jewelries. Use it dry or a little moisture, you will find no more finger marks or grease left. 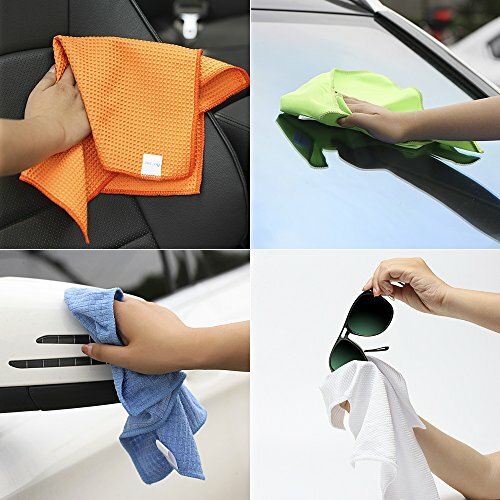 ❤The white one is of scale check design, it is flat with a little scrubby, good water absorption, oil remove, especially good for dust remove on cars surface, windows shinning, mirrors... use it dry will be recommended. It will not scratch or leave no lint, no streak after using. "Kind reminder: Products colors differ a little due to different displayer。"